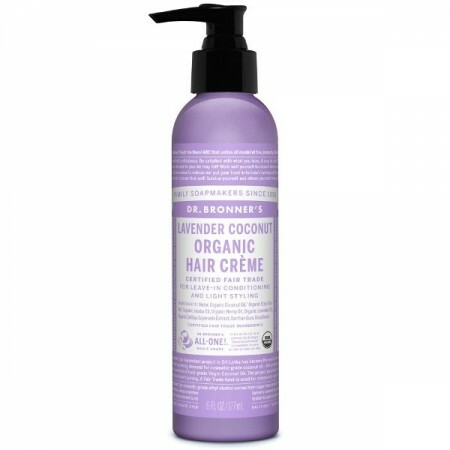 Organic hair conditioner that provides a light styling hold while making hair soft without any synthetic ingredients. 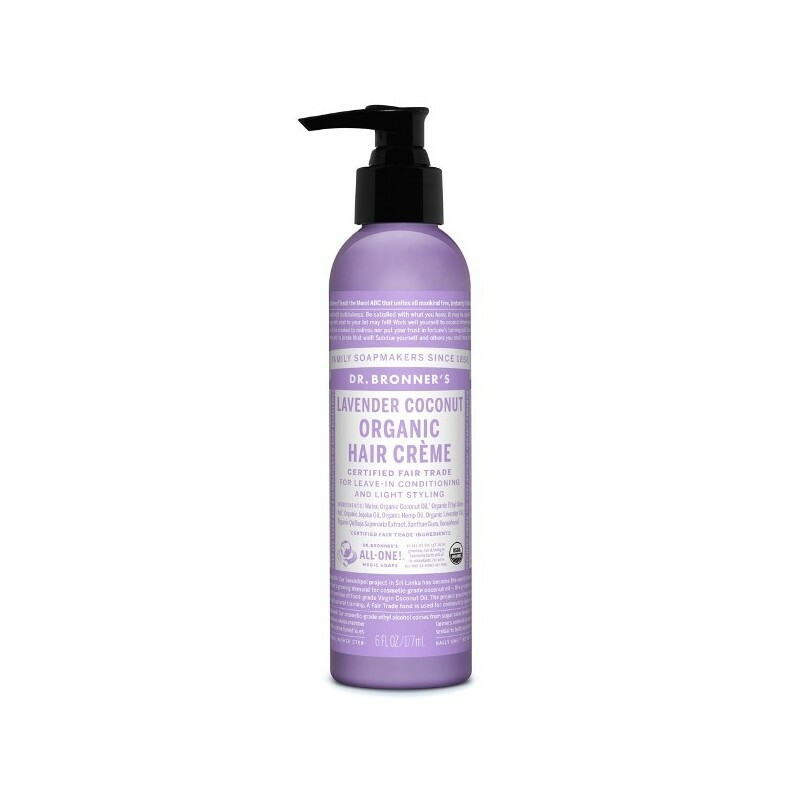 Organic coconut oil makes hair shiny, organic jojoba oil imparts manageability and feel, and organic hemp oil moisturises and softens hair. Use after shampooing for conditioning and styling.Lavender coconut scent. 177ml. Use as a leave-in conditioner and for light styling. Water, Organic Coconut Oil*, Organic Ethyl Alcohol*, Organic Jojoba Oil, Organic Avocado Oil, Organic Hemp Oil, Organic Lavender Oil, Organic Quillaja Saponaria Extract, Xanthan Gum, Tocopherol. *Certified Fair Trade Ingredients. ** None remains after saponifying oils into soap & glycerin. #Dr Bronner's advised us 03/2018 that it uses Glycerin derived from non-GMO soy and Tocopherol made from non-GMO sunflower seed oil. I only used a small amount and found it left my hair looking oily. Smells lovely though, might be better suited for thick dry hair. Dr Bronner's products are really good! Fantastic hair product. I highly recommend. It leaves my hair smelling great, looking shiny and isn't oily at all. I use it after I've washed it before I dry my hair. I have quite thick and long hair too. I find this conditioner too heavy and greasy for my hair but will use it when I'm not going out to deep condition.